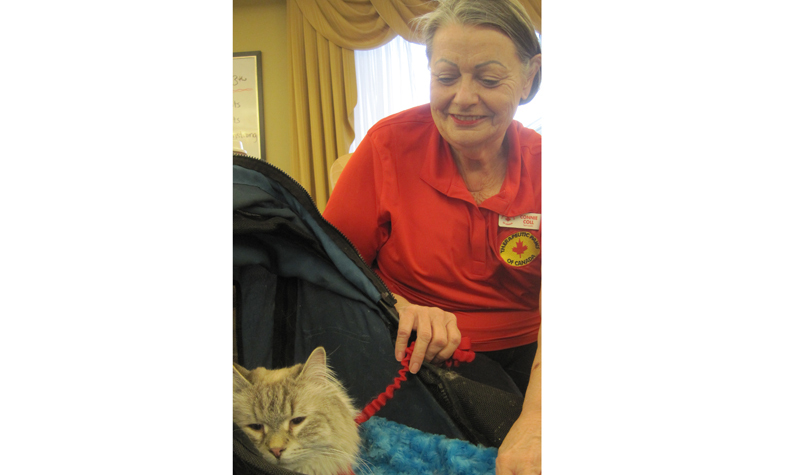 Therapeutic Paws of Canada volunteer Connie Coll and her cat, Hero, are pictured here during a recent visit to Springdale Country Manor. 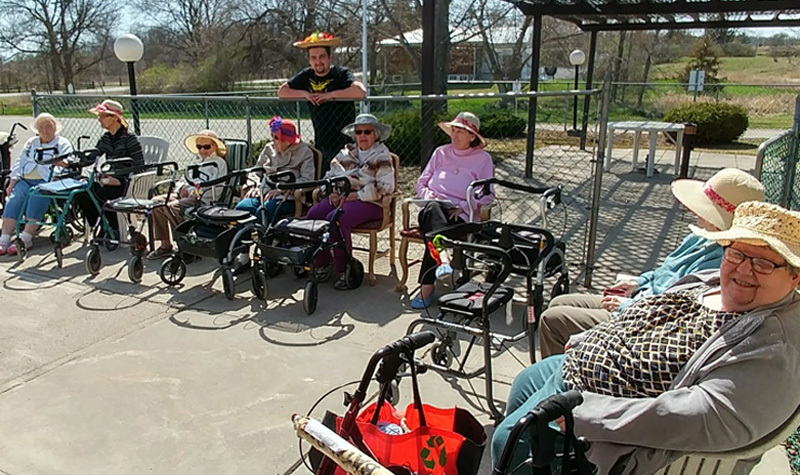 Volunteer Zack Smith, seen standing at the back, enjoys the pleasant weather with Burnbrae Gardens residents on April 24. 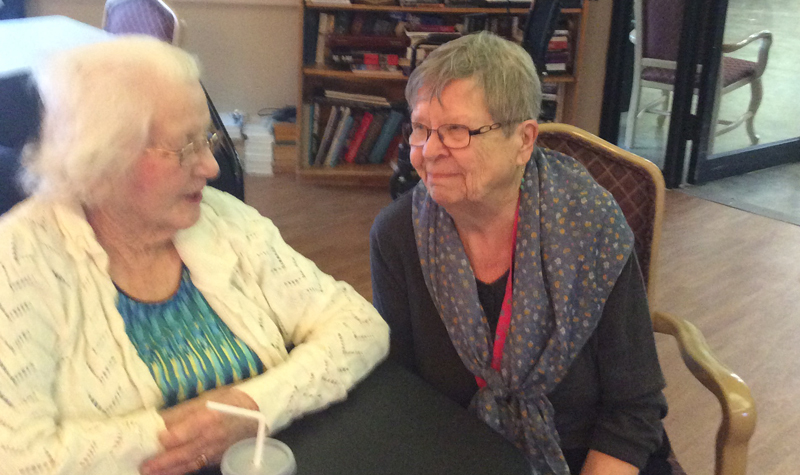 Rosebridge Manor volunteer Lynne Hurd (right) and resident Mildred Covill enjoy a conversation at the Jasper, Ont. long-term care home. 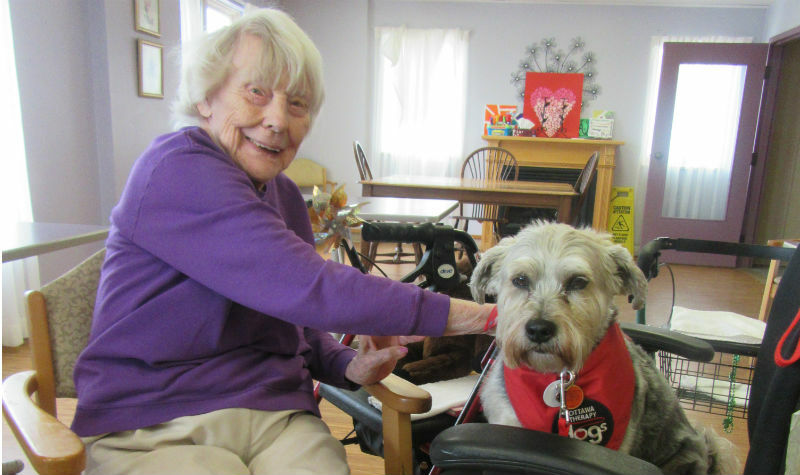 Donna Getz began volunteering at Garden Terrace when her mother was a resident at the Ottawa-area long-term care home. 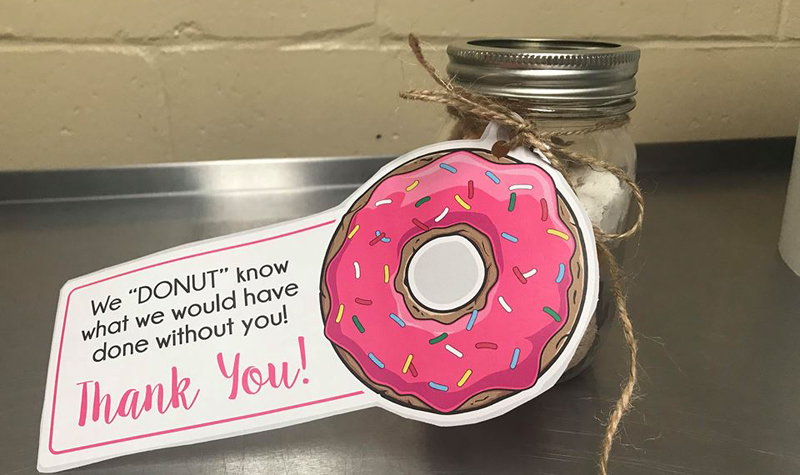 When her mother passed away in 2010, she continued to donate her time to residents because of the difference she says volunteering makes. And Getz is not alone; there’s a group of other family members of former residents who has continued to volunteer. Initially, Getz and the other volunteers began coming to Garden Terrace on Saturdays. Together, the family members would create activities such as crafts or reading programs for residents. What all the family members noticed, she says, is how happy this made residents. What’s more, volunteering made the family members feel good, Getz says. 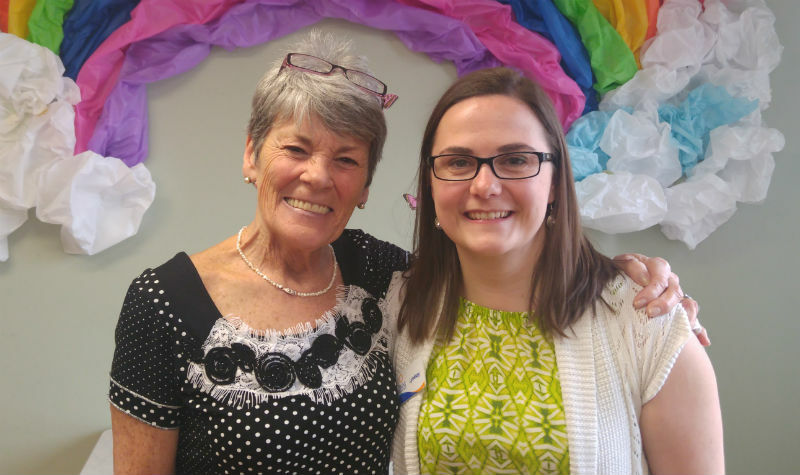 Another perk to volunteering at Garden Terrace is that the home has always been supportive of volunteers, empowering them to create their own programming, Getz says. “They’ve always been very open for us to go in to do what we wanted to do with the people,” she says. Getz says if she was approached by someone interested in volunteering in a long-term care home, her suggestion would be to pay a visit to Garden Terrace. “I would invite them to come and join us for an evening just to see what we do and what a difference it makes in their lives and ours,” she says. 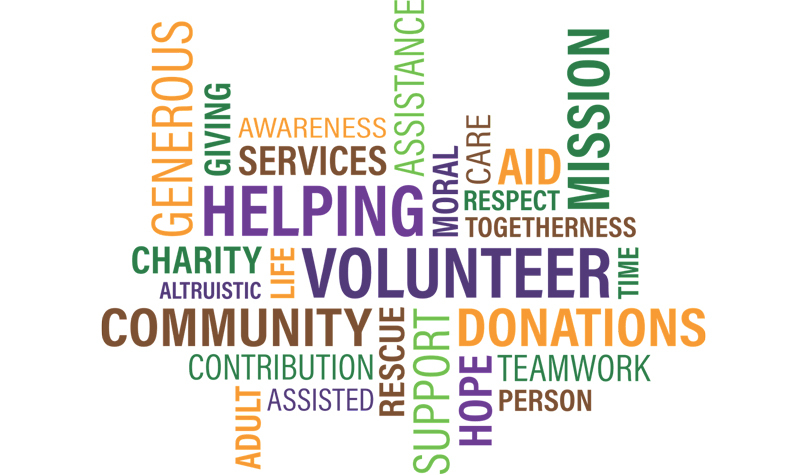 April 6-12 is National Volunteer Week. The week is dedicated to recognizing Canada’s 13.3 million volunteers for their dedication to their communities. Click here for more information. Keep reading the OMNIway for more stories about Garden Terrace volunteers as well as volunteers from across the organization. If you have a story you would like to share with the OMNIway, please contact the newsroom at 800-294-0051, ext. 23, or e-mail deron(at)axiomnews.ca.